Barbecue Utensils, Tools and Cased BBQ Toolsets. 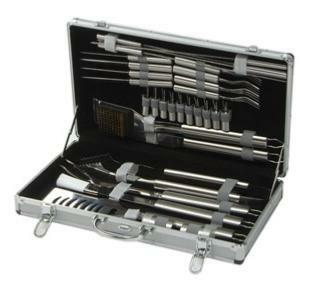 Buy the barbecue tool you need or a complete set for a special BBQ gift. From a single spatula or tong to a grand 30 piece stainless steel set in a sturdy aluminium case. 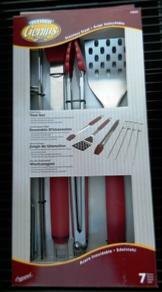 Buy BBQ Utensils Gift Sets For The Best Birthday Gifts. Have a look and find the best Christmas or birthday present for dads, husbands, boyfriends and girls who love to barbecue.